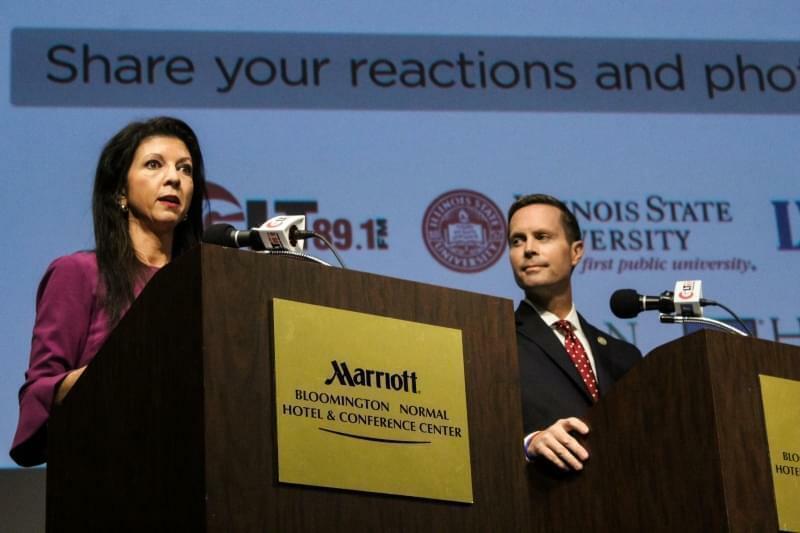 Rodney Davis (R-Taylorville) addresses supporters after a narrow win for re-election. 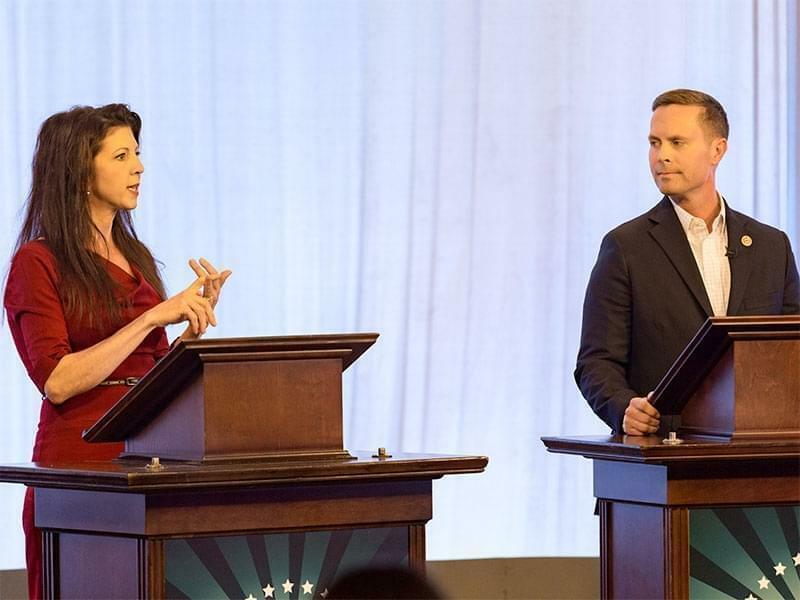 Republican incumbent Rodney Davis from Taylorville barely squeaked out a high-stakes victory in winning a 4th term in congress. 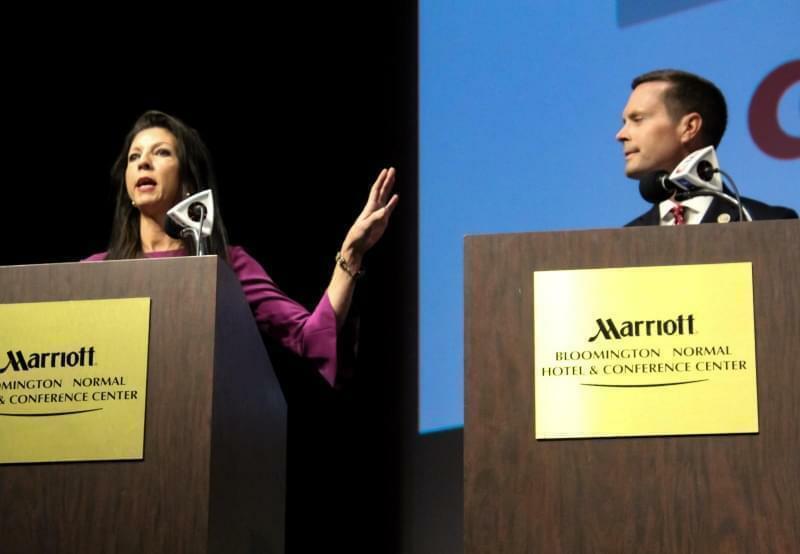 The race had yet to be called, but Davis and supporters were celebrating victory over Democratic challenger Betsy Dirksen Londrigan of Springfield. 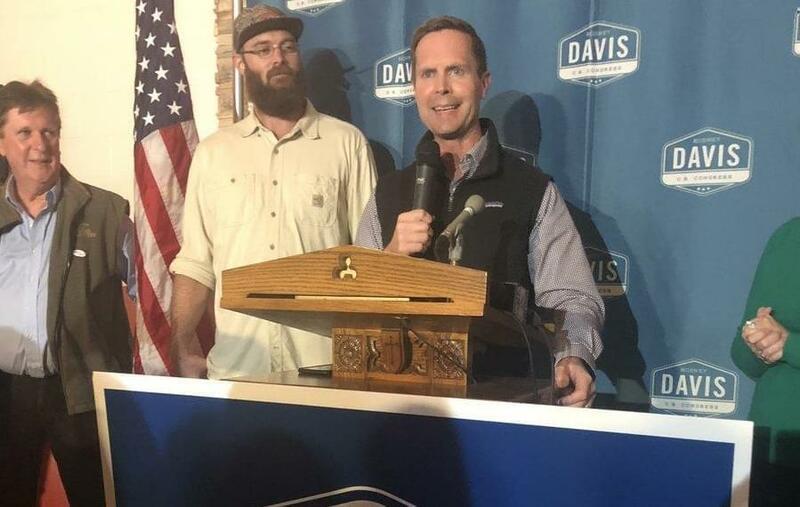 Both parties poured millions into the district, as Democrats saw it as one they could flip to help them gain control of the House, which they still did despite Davis’ win. 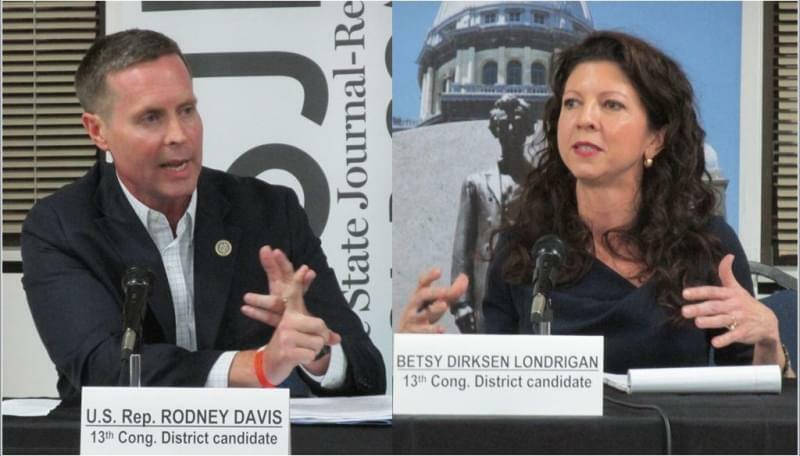 Dirksen Londrigan made access to affordable healthcare and protecting coverage for preexisting conditions the central theme of her campaign. But Davis says it was his track record of success that helped him win a 4th term. The Democrat refused to concede, saying she will wait until all votes are counted. Provisional and some mail-in ballots could still be added to the final vote total. The race was one of the tightest in the state Tuesday night with a roller coaster of emotions on both sides. Earlier in the evening, CNN project Londrigan the winner as early returns had her with a big lead. But that edge evaporated as counties where Davis was strong were counted. 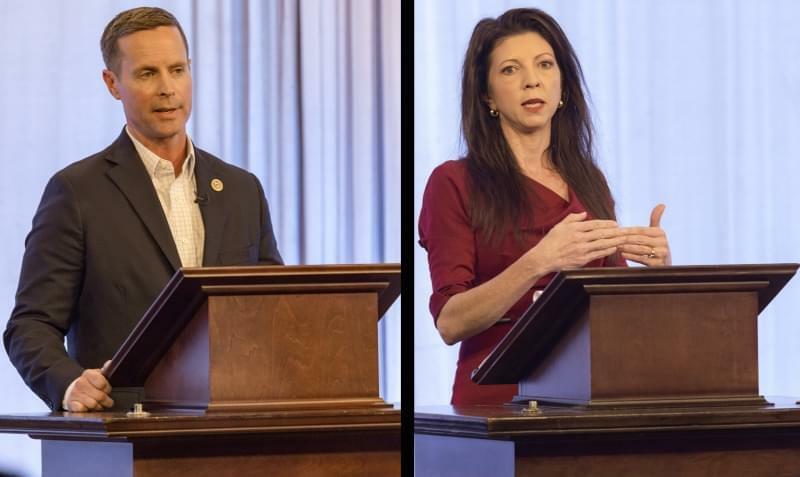 The Davis win meant Democrats managed to flip two of the the four targeted Republican congressional seats in the state. Sean Casten beat incumbent Peter Roskam in the 6th District and Lauren Underwood topped Congressman Randy Hultgren in the 14th. Republican Mike Bost held on in southern Illinois over challenger Brendan Kelly in the 12th District.